At some point in your life, you’ve probably decided to get into better shape. For some, it’s about losing a few kilograms and feeling more energetic. For others, it’s a desire to improve overall wellness and physical capacity. And for still others, it becomes a way to become a new person entirely – a more confident and optimistic person with new goals in life. That’s right — exercise and fitness can have a transcendent effect on your life. You can overcome your perceived limitations and achieve whatever goals you set. You are not only in the best shape of your life, you positively radiate energy and are self-confident like never before. If you mapped out these effects of exercise in a brief diagram, it would probably look something like this. 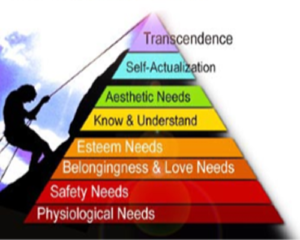 As you can see, the list of wants and needs that exercise can help you achieve looks very much like a pyramid. There is a relatively wide base, a narrower middle, and an even narrower pinnacle. At the base of the pyramid are all of your functional wants and needs. In the middle are all of your emotional wants and needs. And as you get higher and higher up the pyramid, you start to see all of the psychological and intellectual motivators. 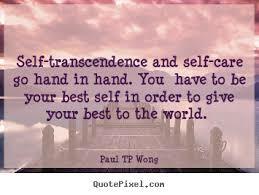 And at the very pinnacle is that word: self-transcendence. This is the “better me” that all of us, deep down, want to achieve as a result of exercise. Yes, losing the kilograms matters. But what matters even more than that is being able to change the way we think and the way we perceive the world around us. At some point in your education, you’ve probably seen a pyramid like this. Perhaps the most famous pyramid is called Maslow’s Hierarchy of Needs, and it’s been around for almost 75 years. Yes, that name sounds very impressive, but all it really means is that there are different things that matter in life, and once we have fulfilled our most basic needs, we as humans inevitably seek to fulfill our higher-order needs. This search for higher-order needs is the reason, quite simply, why some of us hate our jobs and can’t bear to get up early on Monday mornings. It’s because our jobs satisfy our basic, functional needs – the need to put a roof over our head and a plate of food on the table – but our jobs may or may not provide a sense of purpose and mission. But it doesn’t have to be that way. In fact, you’ve probably heard one of your friends or acquaintances say, “I love what I do so much, it doesn’t even seem like work.” That’s a big clue that your friend or acquaintance has scaled the very top of Maslow’s Hierarchy of Needs and is now working on self-actualization and self-transcendence. For them, work is fulfilling not only their functional needs, but also their emotional and psychological needs. Importantly, your compact home gym machine can also help you scale that pyramid of needs, so that you too wind up at the very top. You’ll be looking forward to each new day and each new workout. You may not even need a cup of coffee to wake up in the morning. You’ll feel recharged and revitalized and – here’s the most important point – you’ll be in charge of your own life. WHY you work out is just as important as HOW you work out. Let that sink in for a minute. That’s right – if you have a sense of purpose and a real mission, you will enjoy your workout much more than if you are only doing it grudgingly, out of a sense of guilt that your waistline has continued to expand over the years. And that’s why a compact home gym machine can be so valuable. There’s nothing inherently life-changing about a gym machine – it’s a piece of metal and gears and pulleys and plastic. By itself, it can’t change your life. But that’s the HOW. What we want to focus on is the WHY… Here are 14 ways a compact home gym machine will change your life. Starting at the base level of our pyramid, it’s easy to see how a compact home gym can SIMPLIFY YOUR LIFE and SAVE TIME. Think about it – if you have a compact home gym in your basement, your garage, or your living room, you won’t have to worry about commuting to and from a gym every day. You won’t have to worry about changing in and out of your clothes in the locker room or remembering to pack your gym bag when you head off to the office. You won’t have to worry, because your compact home gym is always there waiting for you. If you want to squeeze off a few sets in the middle of the night, that’s completely possible. Moreover, a home gym machine is, by its very nature, full of VARIETY. Some compact home gyms include as many as 50-75 different exercises, for all parts of your body – your arms, your back, your shoulders, your chest and your legs. You won’t get stuck in a rut because of this tremendous variety. You can change things up every workout very easily. And a home gym machine helps to REDUCE COSTS. Yes, most compact home gyms will pay for themselves within 12 months. Instead of paying for a membership gym each month, all you have to do is make one upfront payment. With a sturdy home gym machine from a name-brand company like Marcy or Bowflex, you will likely have your compact home gym for years. That’s years of not paying for a gym membership or expensive personal trainer classes. If that was all that a compact home gym could help you achieve, it would be well worth the investment. You’ve just simplified your life, saved time and reduced your costs. But let’s head up to the next level of the pyramid. Here, we are starting to get into the emotional and psychological benefits of a compact home gym. These effects might not be as obvious to the outside observer as suddenly losing a few kilograms, but they are much more powerful. Most importantly, regular exercise on your home gym will help to improve your overall WELLNESS. It’s important here to distinguish between fitness and wellness. 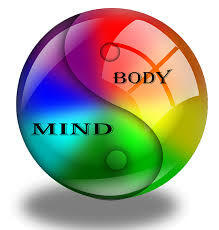 Wellness means that your body is physically stronger and better able to counteract sickness and disease. A stronger heart, for example, means that you are less at risk of heart disease. Stronger bones and muscles mean that you are less at risk of a fall. Also, since your body is functioning better, it is also better protected against the common flu and other everyday ailments. It’s simply a proven fact that people who exercise more get sick less often than those who do not. Moreover, regular exercise on your home gym machine can provide THERAPEUTIC VALUE as well. In fact, for many older people, doctors often suggest using a compact home gym or a similar form of exercise that does not lead to a risk of injury. It’s the reason why many Baby Boomers now are using compact home gyms – they are literally guided through a smooth, easy movement without the risk of dropping heavy weights or pulling a back muscle. For anyone in a muscle therapy program, a compact home gym is perfect. Similarly, a compact home gym will REDUCE ANXIETY. If you’re stressed all day from your office job, working out on a home gym is a great way to get rid of stress. There’s something very calming and relaxing about having a tough, strenuous workout. And you can do it all from the comfort of your own home. These are some of the functional needs at the base of the pyramid. Your home gym will save you time and money, provide variety to maintain your interest and improve your personal safety and well-being as you become calmer, stronger and healthier. 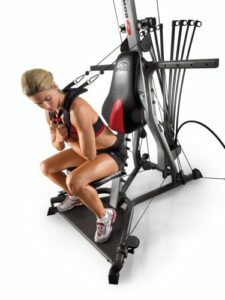 By working out consistently on a compact home gym machine, you will also increase your overall ATTRACTIVENESS. You might find people giving you compliments on a regular basis. Or, if you’re still looking for a life partner to spend the rest of your life with, you might find that your romantic life improves as well. You may feel sexier than ever before, because you have more energy and you are glowing with improved health. These changes lead to you feeling better about yourself, and this increased self esteem is part of your emotional growth and greater ability to achieve new, higher goals. At this point, we’re ready to move on to the next level of the pyramid – the level where we really begin to change our lives in profound ways. It’s here that the emotional and intellectual motivators become the strongest. 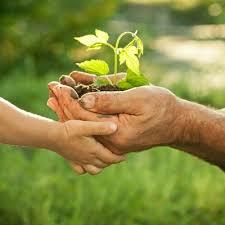 We’ve met all of our basic functional needs and we’ve started to fill some of our emotional needs as well. But now it’s time to see how exercise can change the unique relationship between the mind and body that defines who we are and how we perceive the world around us. Regular exercise can help to give a sense of SELF-ACTUALIZATION. That’s right – we’re now starting to do the things in life that we’ve always wanted to do. Maybe we’re starting to get into such great shape that we’re seriously thinking about competing in an event like a marathon or a triathlon. If you’ve ever heard the term “bucket list” – this is the type of event that we’re talking about here. It’s thinking about athletic feats – like climbing a mountain or going deep-sea diving along the Great Barrier Reef – that are only possible if you are in great physical shape. It is also the beginning of a realization of your true potential. As you celebrate what you have achieved, you recognize how much more you can do, and what you true potential is. There are more things you want to do before you get too old – and you know how to be in great shape. When we’re in great shape and feeling energetic we begin to feel a strong sense of MOTIVATION. Yes, we’re motivated to do things that once seemed impossible. It might start out simple – like deciding to wake up an hour earlier each day to take care of things we’ve stopped paying attention to. 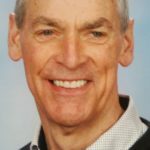 Or we decide to accomplish a goal – starting a new company, launching a new non-profit foundation, getting some new qualifications – that would have seemed impossible. Perhaps most importantly, working out consistently with a gym machine can help to PROVIDE HOPE. It is more than the hope of just getting through the next day without any hassles – it is the hope of a new tomorrow, of a brighter future, of a better life. But hope by itself does not accomplish that final step. Hope is the fuel, the inspiration, for the journey, but it does not get you to the final step. That final step is SELF-TRANSCENDENCE. It means a “new me” or a “better me.” It is the amazing feeling of having broken through all the limitations that life set for you. It is the amazing feeling of doing, not just hoping. At this point, of course, you have ascended to the highest level of the pyramid. You have met all of your functional, emotional and psychological needs. You are now in a completely new place, at home with yourself and who you are. You project confidence and attract others, not just with your appearance, but by the way that you carry yourself. This is the point where you know what you have achieved, you understand all you are capable of, and you have a sense of purpose and vision. Self transcendence is the point where you have risen beyond your needs, to a realization of what you contribute to others, to your community, to the world. Your home gym machine can truly change your life. By its very nature, it is designed to be variable, flexible and adaptable. It is designed to grow along with you. You might start out using only a handful of exercises. But, over time you will see how a home gym machine promotes a holistic view of health and wellness. It is training your body but, just as importantly, it is training your mind. As you start to climb the pyramid higher and higher, you will be ever more convinced of your path forward. And, with your gym machine, you will not only have attained fitness, you will have attained wellness and peace of mind in the process. Click here now if you want to know more about getting started with your own compact home gym machine. 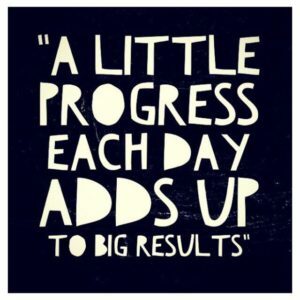 Get started today on your path to a better you.